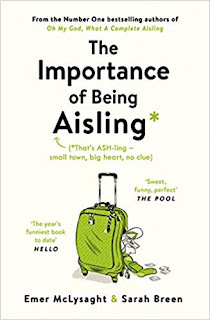 Following on from the success of Oh My God, What a Complete Aisling, we are revisiting its cast of characters with this sequel. 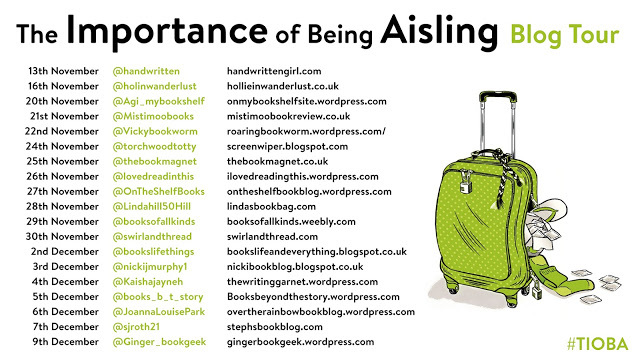 The Importance of Being Aisling. This book picked up where the bestseller, Oh My God, What a Complete Aisling left off and as far as the main character was concerned, the authors did not miss a beat. There is all the same tone of irreverence and wry observations which remind me so much of the Bridget Jones series of books. There are plenty of secondary characters to add colour to the book and to contribute to its humour. It is the character of Aisling herself who carries the story through. She is so well observed and as you learn about her family, you glimpse a certain depth behind her facade. There are moving moments as well as outright comedy and it really is a great reflection of life as it is lived with all its imperfections. In short: A wry look at life with plenty of heart. 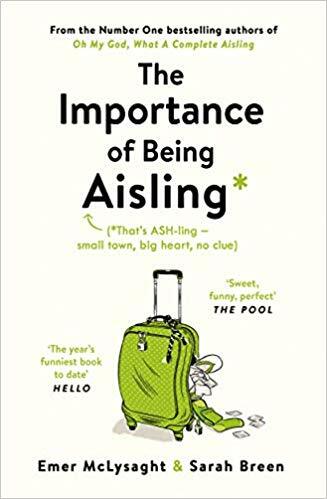 Their first book Oh My God What a Complete Aisling was the Number One bestselling adult fiction title of 2017 in Ireland and is soon set to be made into a major film with McLysaght and Breen writing the screenplay. Thanks to the authors and Olivia Thomas of Penguin Random House for a copy of the book and a place on the tour.